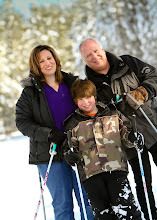 Wii games can be adapted for exercise and play for those with severe orthopedic impairments. As we have been developing Wii therapy for students, our work has been more limited in the area of severe orthopedic impairment but we have developed the use of a game mat with a game called Outdoor Challenge and we have set the accompanying game pad on a rocker board and have folded it around triple thick cardboard custom cut to fit the width of the mat and support a student. We fold it so the middle row with the right and left arrows (like on a dance pad) are across the cardboard and rocker board. We then carefully set the student on the pad and have one person support from behind while others do the hand over hand assist to steer and press. It involves three people so to release 3 para-pros to work with one student is a luxury many teachers don't have. Because of this it is harder to get class time at school when it can be done as a daily therapy tool. We have also set the cardboard and pad on a laptray on a wheelchair and supported the student to use arms and hands to press the arrows down while arms rest on the tray. The Outdoor Challenge game has a pipe slider activity that allows the player to sit on a sled and slide down a large tube. 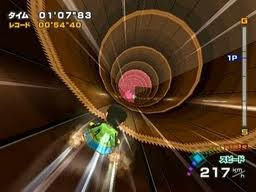 By patting with the left or right hand on the pad, the player can steer down the pipe slide to run over target arrows lit up in blue that shoot them down the tube faster. We have used hand over hand assist to work with students that have poor muscle tone and are stiff. We have found that the activity is exciting for the students and allows their mind to be entertained. The distraction helps relax the hand/wrist/arm during the manipulation/assist. We have seen the rocker board help in creating the leaning motion and assist in balance goals. The game is getting harder to find but can still be found online if you do a search. 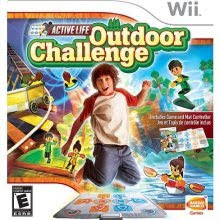 It is Active Life Outdoor Challenge for Wii. I have seen recently a switch controller for Guitar Hero. It would be a fun adaption for those with limited hand movement or with a head array. You can see one at Enabling Devices. There are some great games that help strengthen and work on muscle tone as well as have fun, all at the same time. Check them out, but remember to use care and caution when moving and working with children who have orthopedic impairments. If you have any doubts about what you can do or limitations, consult a doctor, specialist, OT or PT before starting any of these on your own.